Third, keep the gates of information open. Discuss school closures, health information, emergency contacts, and if you receive an update or change in information, relate that to your co-parent. When disaster strikes, not everyone has the same access to information so being a conduit for personalized information for your child builds trust and alleviates an already stressful situation. 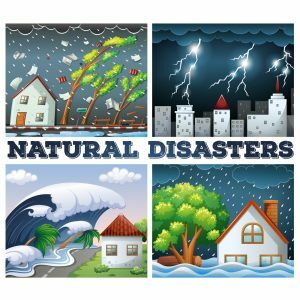 Some “plan ahead co-parents” are smart to consider that if you live in an area that routinely faces hurricanes, tornadoes, or other life emergencies, make plans when conditions are calm about how things should be done. Even if the plan doesn’t go exactly how it was envisioned at the time, you at least have a guide or an effort to keep everyone safe. Using smartphone apps, such as social media, or other forms of relaying information that are best for your family to mark your family safe will also work in case of cell phone service loss. Anything you can do to proactive and a beacon of peace in restless, urgent times will be a great model for your children and in most cases, work to ameliorate any stress. Finally, remember that acting with your children’s best interests are the central focus are the key to everyone feeling as secure in uncertain times as possible. Demonstrating that working together as a team for the safety of your kids is best. Conferring with your co-parent should be at the top of your emergency preparedness list. Wood, Atter & Wolf, P.A. is a law firm based in Jacksonville, Florida which handles family law matters throughout North Florida including Nassau, Clay, Duval, Baker, and St. Johns County. Since 1957, the attorneys and staff at Wood, Atter & Wolf, P.A. have been On Your Side – At Your Side.